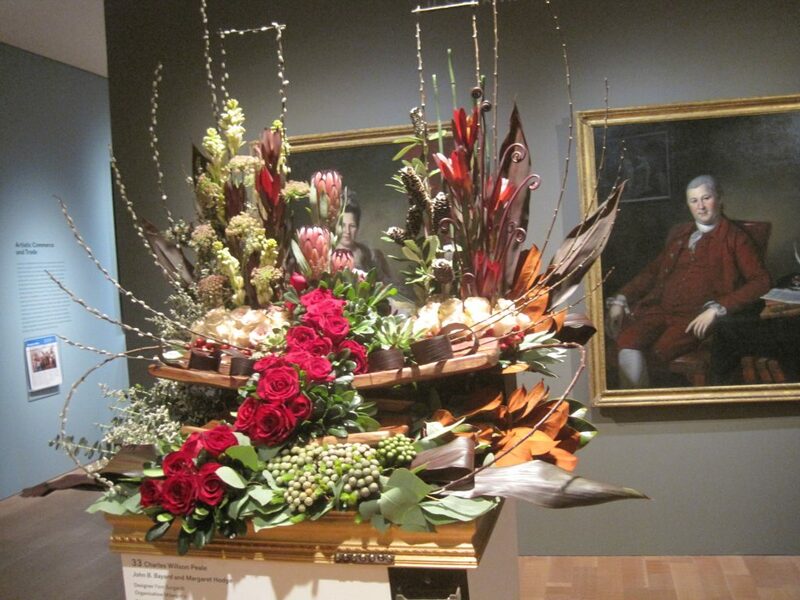 In January, artwork is chosen and floral designers either choose or are given a piece to interpret. The floral designer then ponders the artwork with the goal to interpret the essence or spirit of the work (not copy the piece literally). 75% or more of the design must utilize fresh cut or organic plant material. All plant materials must be from a floral supplier and sterilized. No soil, wood chips, decaying stumps, roots or fungus are allowed. Candles (except battery candles) and aromatics are not allowed. Plant material must remain in pristine condition for the duration of the show, and because of the dry conditions of the galleries, flowers will dry easily. Artists may refresh their arrangements before the museum opens during the run of the show. All open stamens and pollen must be removed from the flowers and plants used. Only one gallon of water is allowed per design, and in a 100% waterproof container. 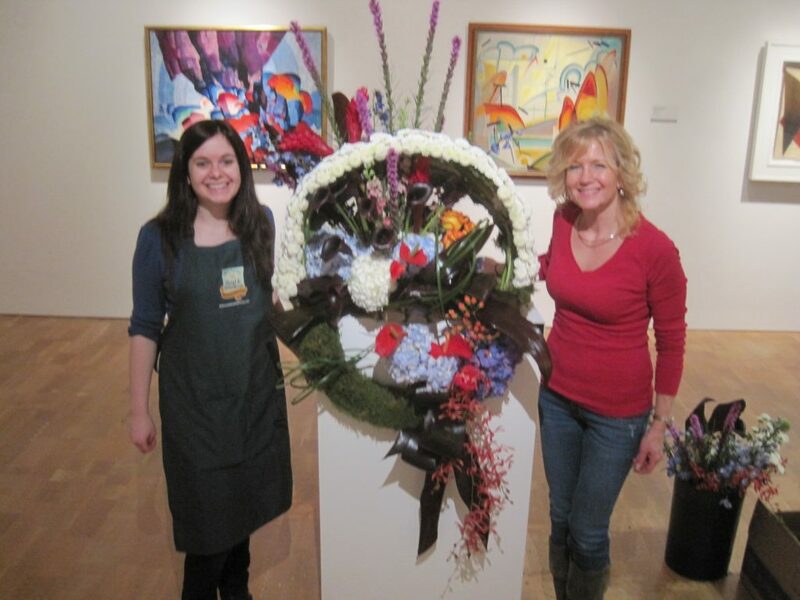 A white pedestal that is 24″ W x 24″ D x 42″ H is given to each floral artist for their works. No design may exceed 48″ above the top of the pedestal and 18″ beyond the pedestal in any horizontal direction. Hanging designs must be 30″ from the top of the pedestal. Set-up and installation takes place on Thursday morning, April 11th. 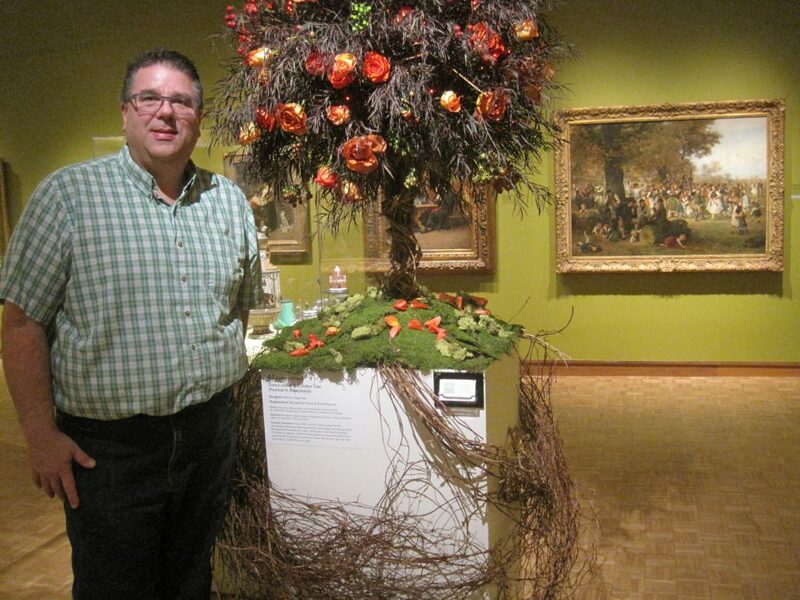 The floral artist has the opportunity to mingle with art patrons while setting up their entry (which is the most fun!). Judges circulate through the museum and choose first, second and third place, and honorable mention winners which are announced on Thursday evening. In 2019, Marty will be emceeing a fun show called “Pruned”. It’s sure to be entertaining and it’s included with your admission! The fun starts Saturday, April 13th at 11:00 a.m. in the auditorium just down from the gift shop. Based on the popular Food Network show “Chopped”, four floral designers will compete against each other, using the same floral ingredients. They may also choose additional things from a floral “pantry” to enhance their designs. The audience will vote to eliminate one designer per round, until the final “Pruned” champion is crowned at the end. It’s just for fun, but you’ll see how great our floral design professionals work when under pressure! 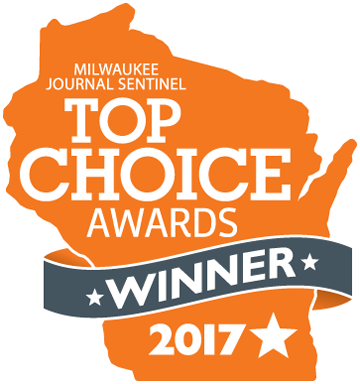 Make sure to stop at Art in Bloom April 11-14, 2019. You’ll love the feel of spring and the beauty of artwork!